Mazda3 4-Door Sport trim. EPA 38 MPG Hwy/28 MPG City! Back-Up Camera, iPod/MP3 Input, Onboard Communications System, Smart Device Integration, Keyless Start. Warranty 5 yrs/60k Miles - Drivetrain Warranty; CLICK ME! KEY FEATURES INCLUDE Back-Up Camera, iPod/MP3 Input, Onboard Communications System, Keyless Start, Smart Device Integration MP3 Player, Keyless Entry, Remote Trunk Release, Child Safety Locks, Steering Wheel Controls. EXPERTS CONCLUDE Edmunds.com's review says The steering delivers excellent on-center feel at highway speed, and your inputs feel direct and precise.. Great Gas Mileage: 38 MPG Hwy. OUR OFFERINGS At Kiefer Mazda we strive to provide outstanding professional service in all areas of our automotive dealership. Please visit Kiefer Mazda at 383 Goodpasture Island Road and let us show you all of the Mazda services we offer. Fuel economy calculations based on original manufacturer data for trim engine configuration. Please confirm the accuracy of the included equipment by calling us prior to purchase. Back-Up Camera, iPod/MP3 Input, Onboard Communications System, Smart Device Integration, Keyless Start. Mazda3 4-Door Sport trim. Warranty 5 yrs/60k Miles - Drivetrain Warranty; AND MORE! KEY FEATURES INCLUDE Back-Up Camera, iPod/MP3 Input, Onboard Communications System, Keyless Start, Smart Device Integration. MP3 Player, Keyless Entry, Remote Trunk Release, Child Safety Locks, Steering Wheel Controls. EXPERTS RAVE Edmunds.com's review says The steering delivers excellent on-center feel at highway speed, and your inputs feel direct and precise.. OUR OFFERINGS At Kiefer Mazda we strive to provide outstanding professional service in all areas of our automotive dealership. Please visit Kiefer Mazda at 383 Goodpasture Island Road and let us show you all of the Mazda services we offer. Please confirm the accuracy of the included equipment by calling us prior to purchase. Heated Seats, Blind Spot Monitor, Cross-Traffic Alert, iPod/MP3 Input, Aluminum Wheels, Back-Up Camera, Onboard Communications System, Smart Device Integration. EPA 36 MPG Hwy/27 MPG City! Mazda3 4-Door Touring trim. CLICK NOW! KEY FEATURES INCLUDE Heated Driver Seat, Back-Up Camera, iPod/MP3 Input, Onboard Communications System, Aluminum Wheels, Keyless Start, Dual Zone A/C, Smart Device Integration, Blind Spot Monitor, Cross-Traffic Alert, Heated Seats. Rear Spoiler, MP3 Player, Remote Trunk Release, Keyless Entry, Child Safety Locks. EXPERTS ARE SAYING The steering delivers excellent on-center feel at highway speed, and your inputs feel direct and precise. -Edmunds.com. Great Gas Mileage: 36 MPG Hwy. WHO WE ARE At Kiefer Mazda we strive to provide outstanding professional service in all areas of our automotive dealership. Please visit Kiefer Mazda at 383 Goodpasture Island Road and let us show you all of the Mazda services we offer. Fuel economy calculations based on original manufacturer data for trim engine configuration. Please confirm the accuracy of the included equipment by calling us prior to purchase. Mazda3 4-Door trim. Brake Actuated Limited Slip Differential, Smart Device Integration, Aluminum Wheels, Back-Up Camera, iPod/MP3 Input, Keyless Start, Onboard Communications System. Warranty 5 yrs/60k Miles - Drivetrain Warranty; READ MORE! KEY FEATURES INCLUDE Back-Up Camera, iPod/MP3 Input, Onboard Communications System, Aluminum Wheels, Keyless Start, Smart Device Integration, Brake Actuated Limited Slip Differential MP3 Player, Keyless Entry, Remote Trunk Release, Steering Wheel Controls, Child Safety Locks. WHO WE ARE At Kiefer Mazda we strive to provide outstanding professional service in all areas of our automotive dealership. Please visit Kiefer Mazda at 383 Goodpasture Island Road and let us show you all of the Mazda services we offer. Please confirm the accuracy of the included equipment by calling us prior to purchase. Mazda3 4-Door w/Select Pkg trim. 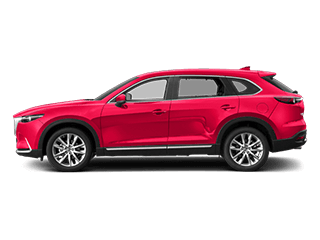 Lane Keeping Assist, Smart Device Integration, Cross-Traffic Alert, Blind Spot Monitor, iPod/MP3 Input, Alloy Wheels, Back-Up Camera, Onboard Communications System, Dual Zone A/C, Keyless Start READ MORE! KEY FEATURES INCLUDE Back-Up Camera, iPod/MP3 Input, Onboard Communications System, Aluminum Wheels, Keyless Start, Dual Zone A/C, Brake Actuated Limited Slip Differential, Smart Device Integration, Lane Keeping Assist, Blind Spot Monitor, Cross-Traffic Alert MP3 Player, Keyless Entry, Remote Trunk Release, Steering Wheel Controls, Child Safety Locks. MORE ABOUT US At Kiefer Mazda we strive to provide outstanding professional service in all areas of our automotive dealership. Please visit Kiefer Mazda at 383 Goodpasture Island Road and let us show you all of the Mazda services we offer. Please confirm the accuracy of the included equipment by calling us prior to purchase. Lane Keeping Assist, Blind Spot Monitor, Cross-Traffic Alert, Smart Device Integration, iPod/MP3 Input, Back-Up Camera, Aluminum Wheels, Onboard Communications System, Dual Zone A/C, Keyless Start. Mazda3 4-Door w/Select Pkg trim SEE MORE! KEY FEATURES INCLUDE Back-Up Camera, iPod/MP3 Input, Onboard Communications System, Aluminum Wheels, Keyless Start, Dual Zone A/C, Brake Actuated Limited Slip Differential, Smart Device Integration, Lane Keeping Assist, Blind Spot Monitor, Cross-Traffic Alert. MP3 Player, Keyless Entry, Remote Trunk Release, Steering Wheel Controls, Child Safety Locks. VISIT US TODAY At Kiefer Mazda we strive to provide outstanding professional service in all areas of our automotive dealership. Please visit Kiefer Mazda at 383 Goodpasture Island Road and let us show you all of the Mazda services we offer. Please confirm the accuracy of the included equipment by calling us prior to purchase. Blind Spot Monitor, Lane Keeping Assist, Brake Actuated Limited Slip Differential, Cross-Traffic Alert, Auxiliary Audio Input, Back-Up Camera, Alloy Wheels, Telematics, Smart Device Integration. Mazda3 4-Door w/Select Pkg trim. AND MORE! KEY FEATURES INCLUDE Back-Up Camera, Auxiliary Audio Input, Telematics, Aluminum Wheels, Keyless Start, Multi-Zone A/C, Smart Device Integration, Cross-Traffic Alert, Blind Spot Monitor, Lane Keeping Assist, Brake Actuated Limited Slip Differential. MP3 Player, Remote Trunk Release, Keyless Entry, Steering Wheel Audio Controls, Child Safety Locks. WHY BUY FROM US At Kiefer Mazda we strive to provide outstanding professional service in all areas of our automotive dealership. Please visit Kiefer Mazda at 383 Goodpasture Island Road and let us show you all of the Mazda services we offer. Please confirm the accuracy of the included equipment by calling us prior to purchase. Mazda3 Sedan w/Select Pkg trim. Brake Actuated Limited Slip Differential, Cross-Traffic Alert, Lane Keeping Assist, Blind Spot Monitor, iPod/MP3 Input, Back-Up Camera, Aluminum Wheels, Onboard Communications System, Dual Zone A/C AND MORE! KEY FEATURES INCLUDE Back-Up Camera, iPod/MP3 Input, Onboard Communications System, Aluminum Wheels, Keyless Start, Dual Zone A/C, Smart Device Integration, Blind Spot Monitor, Brake Actuated Limited Slip Differential, Cross-Traffic Alert, Lane Keeping Assist MP3 Player, Keyless Entry, Steering Wheel Controls, Child Safety Locks, Electronic Stability Control. MORE ABOUT US At Kiefer Mazda we strive to provide outstanding professional service in all areas of our automotive dealership. 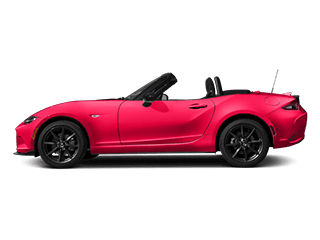 Please visit Kiefer Mazda at 383 Goodpasture Island Road and let us show you all of the Mazda services we offer. Please confirm the accuracy of the included equipment by calling us prior to purchase. Lane Keeping Assist, Blind Spot Monitor, Cross-Traffic Alert, Smart Device Integration, iPod/MP3 Input, Back-Up Camera, Aluminum Wheels, Onboard Communications System, Dual Zone A/C, Keyless Start. Mazda3 4-Door w/Select Pkg trim. CLICK ME! KEY FEATURES INCLUDE Back-Up Camera, iPod/MP3 Input, Onboard Communications System, Aluminum Wheels, Keyless Start, Dual Zone A/C, Brake Actuated Limited Slip Differential, Smart Device Integration, Lane Keeping Assist, Blind Spot Monitor, Cross-Traffic Alert MP3 Player, Keyless Entry, Remote Trunk Release, Steering Wheel Controls, Child Safety Locks. WHY BUY FROM US At Kiefer Mazda we strive to provide outstanding professional service in all areas of our automotive dealership. 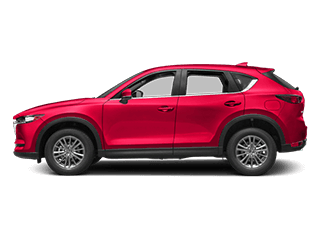 Please visit Kiefer Mazda at 383 Goodpasture Island Road and let us show you all of the Mazda services we offer. Please confirm the accuracy of the included equipment by calling us prior to purchase. Mazda3 4-Door w/Select Pkg trim. Lane Keeping Assist, Smart Device Integration, Cross-Traffic Alert, Blind Spot Monitor, iPod/MP3 Input, Back-Up Camera, Aluminum Wheels, Onboard Communications System, Dual Zone A/C. CLICK NOW! KEY FEATURES INCLUDE Back-Up Camera, iPod/MP3 Input, Onboard Communications System, Aluminum Wheels, Keyless Start, Dual Zone A/C, Brake Actuated Limited Slip Differential, Smart Device Integration, Lane Keeping Assist, Blind Spot Monitor, Cross-Traffic Alert. MP3 Player, Keyless Entry, Remote Trunk Release, Steering Wheel Controls, Child Safety Locks. VISIT US TODAY At Kiefer Mazda we strive to provide outstanding professional service in all areas of our automotive dealership. Please visit Kiefer Mazda at 383 Goodpasture Island Road and let us show you all of the Mazda services we offer. Please confirm the accuracy of the included equipment by calling us prior to purchase. Lane Keeping Assist, Blind Spot Monitor, Cross-Traffic Alert, Smart Device Integration, iPod/MP3 Input, Back-Up Camera, Alloy Wheels, Onboard Communications System, Dual Zone A/C, Keyless Start. Mazda3 4-Door w/Select Pkg trim. CLICK ME! KEY FEATURES INCLUDE Back-Up Camera, iPod/MP3 Input, Onboard Communications System, Aluminum Wheels, Keyless Start, Dual Zone A/C, Brake Actuated Limited Slip Differential, Smart Device Integration, Lane Keeping Assist, Blind Spot Monitor, Cross-Traffic Alert. MP3 Player, Keyless Entry, Remote Trunk Release, Steering Wheel Controls, Child Safety Locks. VISIT US TODAY At Kiefer Mazda we strive to provide outstanding professional service in all areas of our automotive dealership. Please visit Kiefer Mazda at 383 Goodpasture Island Road and let us show you all of the Mazda services we offer. Please confirm the accuracy of the included equipment by calling us prior to purchase. Mazda3 4-Door w/Select Pkg trim. Lane Keeping Assist, Blind Spot Monitor, Cross-Traffic Alert, Smart Device Integration, iPod/MP3 Input, Back-Up Camera, Alloy Wheels, Onboard Communications System, Dual Zone A/C, Keyless Start. CLICK ME! KEY FEATURES INCLUDE Back-Up Camera, iPod/MP3 Input, Onboard Communications System, Aluminum Wheels, Keyless Start, Dual Zone A/C, Brake Actuated Limited Slip Differential, Smart Device Integration, Lane Keeping Assist, Blind Spot Monitor, Cross-Traffic Alert MP3 Player, Keyless Entry, Remote Trunk Release, Steering Wheel Controls, Child Safety Locks. VISIT US TODAY At Kiefer Mazda we strive to provide outstanding professional service in all areas of our automotive dealership. Please visit Kiefer Mazda at 383 Goodpasture Island Road and let us show you all of the Mazda services we offer. Please confirm the accuracy of the included equipment by calling us prior to purchase. Mazda3 4-Door w/Select Pkg trim. Lane Keeping Assist, Blind Spot Monitor, Cross-Traffic Alert, Smart Device Integration, iPod/MP3 Input, Back-Up Camera, Alloy Wheels, Onboard Communications System, Dual Zone A/C, Keyless Start. CLICK ME! KEY FEATURES INCLUDE Back-Up Camera, iPod/MP3 Input, Onboard Communications System, Aluminum Wheels, Keyless Start, Dual Zone A/C, Brake Actuated Limited Slip Differential, Smart Device Integration, Lane Keeping Assist, Blind Spot Monitor, Cross-Traffic Alert. MP3 Player, Keyless Entry, Remote Trunk Release, Steering Wheel Controls, Child Safety Locks. WHO WE ARE At Kiefer Mazda we strive to provide outstanding professional service in all areas of our automotive dealership. Please visit Kiefer Mazda at 383 Goodpasture Island Road and let us show you all of the Mazda services we offer. Please confirm the accuracy of the included equipment by calling us prior to purchase. Heated Leather Seats, Moonroof, Dual Zone A/C, Keyless Start, Premium Sound System, Aluminum Wheels, Back-Up Camera, iPod/MP3 Input. Mazda3 5-Door Grand Touring trim, DEEP CRYSTAL BLUE MICA exterior and BLACK BLACK interior. SEE MORE! KEY FEATURES INCLUDE Leather Seats, Sunroof, Heated Driver Seat, Back-Up Camera, Premium Sound System, Satellite Radio, iPod/MP3 Input, Onboard Communications System, Aluminum Wheels, Keyless Start, Dual Zone A/C, Blind Spot Monitor, Cross-Traffic Alert, Smart Device Integration, Heated Seats. Rear Spoiler, MP3 Player, Keyless Entry, Child Safety Locks, Steering Wheel Controls. 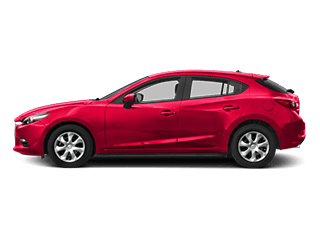 Mazda Mazda3 5-Door Grand Touring with DEEP CRYSTAL BLUE MICA exterior and BLACK BLACK interior features a 4 Cylinder Engine with 184 HP at 5700 RPM*. EXPERTS ARE SAYING Edmunds.com explains The steering delivers excellent on-center feel at highway speed, and your inputs feel direct and precise.. OUR OFFERINGS At Kiefer Mazda we strive to provide outstanding professional service in all areas of our automotive dealership. Please visit Kiefer Mazda at 383 Goodpasture Island Road and let us show you all of the Mazda services we offer. Horsepower calculations based on trim engine configuration. Please confirm the accuracy of the included equipment by calling us prior to purchase. Heated Leather Seats, Sunroof, Dual Zone A/C, Keyless Start, Premium Sound System, Alloy Wheels, Back-Up Camera, iPod/MP3 Input. Mazda3 5-Door Grand Touring trim, SNOWFLAKE WHITE PEARL MC exterior and BLACK BLACK interior AND MORE! KEY FEATURES INCLUDE Leather Seats, Sunroof, Heated Driver Seat, Back-Up Camera, Premium Sound System, Satellite Radio, iPod/MP3 Input, Onboard Communications System, Aluminum Wheels, Keyless Start, Dual Zone A/C, Blind Spot Monitor, Cross-Traffic Alert, Smart Device Integration, Heated Seats. Rear Spoiler, MP3 Player, Keyless Entry, Child Safety Locks, Steering Wheel Controls. Mazda Mazda3 5-Door Grand Touring with SNOWFLAKE WHITE PEARL MC exterior and BLACK BLACK interior features a 4 Cylinder Engine with 184 HP at 5700 RPM*. EXPERTS CONCLUDE Edmunds.com explains The steering delivers excellent on-center feel at highway speed, and your inputs feel direct and precise.. WHO WE ARE At Kiefer Mazda we strive to provide outstanding professional service in all areas of our automotive dealership. Please visit Kiefer Mazda at 383 Goodpasture Island Road and let us show you all of the Mazda services we offer. Horsepower calculations based on trim engine configuration. Please confirm the accuracy of the included equipment by calling us prior to purchase. 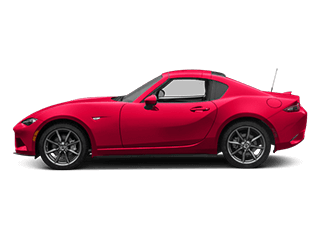 DISCOUNTED PRICE IS AFTER DEALER DISCOUNT AND MAZDA INCENTIVES AND IS IN LIEU OF ANY SPECIAL APR OR LEASE OFFERED BY MAZDA. OFFER EXPIRES 04.30.19. Heated Leather Seats, Sunroof, Dual Zone A/C, Keyless Start, Premium Sound System, Alloy Wheels, Back-Up Camera, iPod/MP3 Input. DEEP CRYSTAL BLUE MICA exterior and BLACK BLACK interior, Mazda3 4-Door Grand Touring trim. SEE MORE! KEY FEATURES INCLUDE Leather Seats, Sunroof, Heated Driver Seat, Back-Up Camera, Premium Sound System, Satellite Radio, iPod/MP3 Input, Onboard Communications System, Aluminum Wheels, Keyless Start, Dual Zone A/C, Blind Spot Monitor, Cross-Traffic Alert, Smart Device Integration, Heated Seats Rear Spoiler, MP3 Player, Keyless Entry, Remote Trunk Release, Steering Wheel Controls. 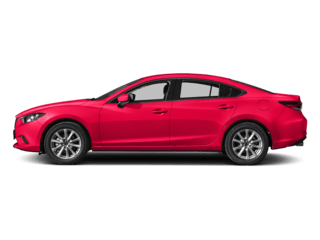 Mazda Mazda3 4-Door Grand Touring with DEEP CRYSTAL BLUE MICA exterior and BLACK BLACK interior features a 4 Cylinder Engine with 184 HP at 5700 RPM*. EXPERTS ARE SAYING The steering delivers excellent on-center feel at highway speed, and your inputs feel direct and precise. -Edmunds.com. 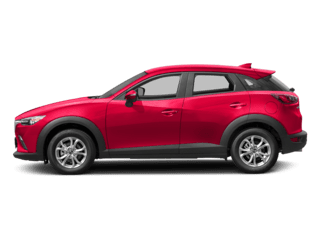 BUY FROM AN AWARD WINNING DEALER At Kiefer Mazda we strive to provide outstanding professional service in all areas of our automotive dealership. Please visit Kiefer Mazda at 383 Goodpasture Island Road and let us show you all of the Mazda services we offer. Horsepower calculations based on trim engine configuration. Please confirm the accuracy of the included equipment by calling us prior to purchase. Brake Actuated Limited Slip Differential, Blind Spot Monitor, Lane Keeping Assist, Cross-Traffic Alert, Back-Up Camera, iPod/MP3 Input, Aluminum Wheels, All Wheel Drive, Smart Device Integration. 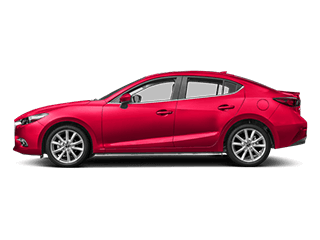 Mazda3 4-Door w/Select Pkg trim READ MORE! KEY FEATURES INCLUDE All Wheel Drive, Back-Up Camera, iPod/MP3 Input, Onboard Communications System, Aluminum Wheels, Keyless Start, Dual Zone A/C, Smart Device Integration, Blind Spot Monitor, Brake Actuated Limited Slip Differential, Cross-Traffic Alert, Lane Keeping Assist. MP3 Player, Keyless Entry, Remote Trunk Release, Steering Wheel Controls, Child Safety Locks. BUY FROM AN AWARD WINNING DEALER At Kiefer Mazda we strive to provide outstanding professional service in all areas of our automotive dealership. Please visit Kiefer Mazda at 383 Goodpasture Island Road and let us show you all of the Mazda services we offer. Please confirm the accuracy of the included equipment by calling us prior to purchase. Heated Seats, Brake Actuated Limited Slip Differential, Lane Keeping Assist, Blind Spot Monitor, Smart Device Integration, Premium Sound System, Satellite Radio, Aluminum Wheels, Back-Up Camera. Mazda3 4-Door w/Preferred Pkg trim AND MORE! KEY FEATURES INCLUDE Heated Driver Seat, Back-Up Camera, Premium Sound System, Satellite Radio, iPod/MP3 Input, Onboard Communications System, Aluminum Wheels, Keyless Start, Dual Zone A/C, Smart Device Integration, Brake Actuated Limited Slip Differential, Lane Keeping Assist, Blind Spot Monitor, Cross-Traffic Alert, Heated Seats. MP3 Player, Keyless Entry, Remote Trunk Release, Steering Wheel Controls, Child Safety Locks. WHO WE ARE At Kiefer Mazda we strive to provide outstanding professional service in all areas of our automotive dealership. Please visit Kiefer Mazda at 383 Goodpasture Island Road and let us show you all of the Mazda services we offer. Please confirm the accuracy of the included equipment by calling us prior to purchase. Mazda3 4-Door w/Select Pkg trim. Brake Actuated Limited Slip Differential, Blind Spot Monitor, Lane Keeping Assist, Cross-Traffic Alert, Back-Up Camera, iPod/MP3 Input, Aluminum Wheels, All Wheel Drive, Smart Device Integration CLICK NOW! KEY FEATURES INCLUDE All Wheel Drive, Back-Up Camera, iPod/MP3 Input, Onboard Communications System, Aluminum Wheels, Keyless Start, Dual Zone A/C, Smart Device Integration, Blind Spot Monitor, Brake Actuated Limited Slip Differential, Cross-Traffic Alert, Lane Keeping Assist MP3 Player, Keyless Entry, Remote Trunk Release, Steering Wheel Controls, Child Safety Locks. WHO WE ARE At Kiefer Mazda we strive to provide outstanding professional service in all areas of our automotive dealership. Please visit Kiefer Mazda at 383 Goodpasture Island Road and let us show you all of the Mazda services we offer. Please confirm the accuracy of the included equipment by calling us prior to purchase. Heated Seats, Brake Actuated Limited Slip Differential, Lane Keeping Assist, Blind Spot Monitor, Smart Device Integration, Premium Sound System, Satellite Radio, Aluminum Wheels, Back-Up Camera. Mazda3 4-Door w/Preferred Pkg trim. CLICK NOW! KEY FEATURES INCLUDE Heated Driver Seat, Back-Up Camera, Premium Sound System, Satellite Radio, iPod/MP3 Input, Onboard Communications System, Aluminum Wheels, Keyless Start, Dual Zone A/C, Smart Device Integration, Brake Actuated Limited Slip Differential, Lane Keeping Assist, Blind Spot Monitor, Cross-Traffic Alert, Heated Seats. MP3 Player, Keyless Entry, Remote Trunk Release, Steering Wheel Controls, Child Safety Locks. BUY FROM AN AWARD WINNING DEALER At Kiefer Mazda we strive to provide outstanding professional service in all areas of our automotive dealership. Please visit Kiefer Mazda at 383 Goodpasture Island Road and let us show you all of the Mazda services we offer. Please confirm the accuracy of the included equipment by calling us prior to purchase.